Panic bubbles in Trish. She pushes the floor with squirming toes. Her chair scoots along the plastic drop cloth that has been spread out underneath her. Charlie stands up, puts a firm hand on the chair, then gives a no-no finger wave before taking his seat across the table from her. She violently yanks at her restraints. The steel handcuffs cut into her wrists and ankles. Her words are met with deafening silence. Charlie lifts the .38 off the table and loads a single bullet. He spins the cylinder, places the barrel to his head and without a hint of hesitation, Charlie pulls the trigger. He spins the cylinder again. He places the barrel between her eyes. 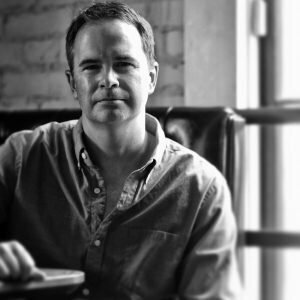 Mike McCrary is a screenwriter and author of GETTING UGLY, REMO WENT ROGUE and GENUINELY DANGEROUS. 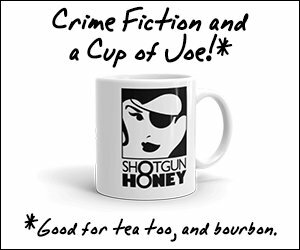 His short fiction has appeared in ThugLit, All Due Respect, Dark Corners, Out of the Gutter, Shotgun Honey and The Big Adios. Mike has been a waiter, securities trader, dishwasher, investment manager, and an unpaid Hollywood intern. He's quit corporate America, come back, been fired, been promoted and fired again. Currently, he writes stories about questionable people who make questionable decisions.